Smile for the camera in your very own photo booth! A picture is worth a thousand words. That’s why if you’re planning a big party, or other fun event, you should have your own personal photo booth. Not only are they fun to use, but they give your guests a great keepsake. Richmond Hill Photo Booth is the best local photo booth rental in Richmond Hill and the surrounding Toronto area. Whether you’re looking for a fun way for guests to enjoy your wedding or are looking for a unique party favor, Richmond Hill Photo Booth is the way to go. Where you can find us and get the STAR TREATMENT! Richmond Hill Photo Booth is the affordable name in photo booth rental. Having a photo booth saves you the cost of hiring a photographer and it’s a lot more fun and convenient for your guests. Rather than catching them at impromptu moments with a camera in their face, they can take their own pictures when they want to. Let the photographer take care of the wedding ceremony, and have a rental by Richmond Hill Photo Booth handle the reception. We’re the go-to name in photo fun in Toronto! When you rent your local Toronto-area photo booth from us, you’re getting more than just a place to make goofy faces. You’re getting your own custom memory maker. We have a variety of different accessories, backdrops and backgrounds, props, and equipment for you to choose from. Make your photo booth rental yours with a fully customizable booth! Whether you’re looking to avoid another boring corporate event or product launch, or looking for a way to sweeten a Sweet 16, Richmond Hill Photo Booth is there for you! Office parties and corporate events can be a real drag, but with your own personal photo booth rental, you’ll have plenty of images for the company newsletter. Whether it’s an office Thanksgiving party, an end of the year holiday celebration, or a trade show or convention, the best photo booth rental in TO is here to make your employees smile. Weddings can be a bit too serious. 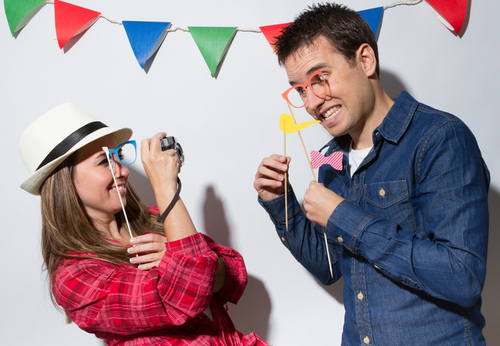 If you want to give your wedding guests a reason to smile, give them a photo booth rental. Any wedding reception could use a little more laughs, and a Richmond Hill Photo Booth rental is here for your wedding. Just choose your backdrops and props, and we’ll take care of the rest. Traditional weddings and more modern ones can benefit from a photo booth. Whether you’re having a doe or stag party, a Jack and Jill party, or looking to lighten up your wedding reception, a Richmond Hill Photo Booth is the perfect accompaniment. People always want to take pictures at parties, so why not give them a way to do it other than with a selfie? Photo booths are fun for all ages and social events, from a semi-formal school dance, wedding reception, surprise party, and more, your guests will be lining up to say “cheese” with your photo booth! Whatever you are celebrating, this can booth makes it better! Any time of year is a great time for friends and family to take photos. Make sure they have everything they need with your own photo booth rental. ​When you rent your photo booth from Richmond Hill Photo Booth, you’re saving money on great quality service. We guarantee you’ll get top-of-the-line equipment and the best machines in Toronto each time you rent from us. We’ll set up your photo booth in any of our local Toronto-area locations and we stay to take care of any service needs you may have during your party and event. When you need a great photo booth rental you can rely on, you need Richmond Hill Photo Booth. Hiring a photographer for your event is nice, but it doesn’t capture the fun your guests are having. Having a photographer pointing a camera at their face makes guests stiff and posed. But with a Toronto-based photo booth rental you can capture a level of candidness and fun that you can achieve with a camera. Let your guests let loose and take a better picture with a Richmond Hill Photo Booth rental. ​With so many great reasons to rent a photo booth, what are you waiting for? 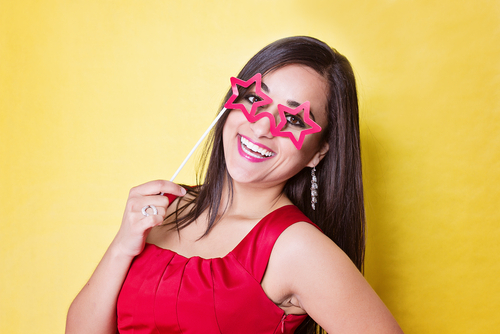 Go beyond forced smiles and shouts of “cheese!” with a fun, personalized photo booth rental. We’re the most reliable name in photo booth rentals in Richmond Hill and the Greater Toronto Area. No matter what reason you’re celebrating, your friends, family, and guests will love cracking a smile in their photo booth pictures. Stop trying to force a funny picture and let it happen naturally. Call Richmond Hill Photo Booth today at 647-503-4300 to schedule your photo booth rental. We book fast during the holidays and during wedding season. Call or email now to make sure you get your own photo booth! For high quality photo equipment and accessories check out our friends at Mirror Image.